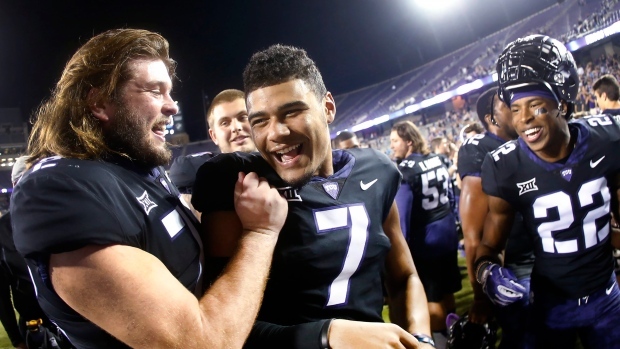 The Montreal Alouettes added quarterback Kenny Hill to their practice roster Monday. Hill is the son of the former Montreal Expos pitcher by the same name and broke Johnny Manziel's school record for most passing yards in a single game with 511 while at Texas A&M. Hill took over for Manziel as the starting quarterback at Texas A&M before transferring to TCU, where he started for two seasons. The 23-year-old finished his collegiate career with 9,192 passing yards and 64 touchdowns to 29 interceptions and 1,127 rushing yards and 15 touchdowns on the ground. The Alouettes also signed offensive lineman Spencer Damm and wide receiver De'Mornay Pierson-El to their practice roster.